Drive Culture Canada needs to grid for electric and hydrogen vehicles. Who pays? The infrastructure for EV public charging points continues to grow, even in rebate-absent provinces. The second annual Drive Summit on urban mobility takes place on Tuesday, Feb. 12, during the afternoon, at the Globe and Mail conference centre. To attend, free of charge, register here: globeandmailevents.com/mobility19. Spaces are limited. Ontario once had the most generous rebate program in North America for electric vehicles. It offered back up to $14,000 of the purchase price, but the plan was cancelled last summer by the newly elected Progressive Conservative government of Doug Ford. 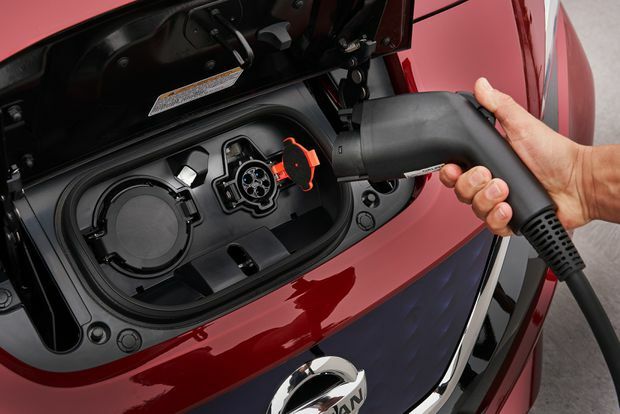 Without the rebates, “there was definitely a massive drop in EV sales in Ontario,” says Francois Lefevre, Nissan Canada’s senior manager in charge of its Leaf electric car. Last year, Nissan sold and delivered 2,009 Leafs in Ontario, but after July, when the rebates ended, fewer than 100 were sold the rest of the year. Little surprise – overnight, they were $14,000 more expensive, and about 30 per cent more costly than an equivalent gas-powered car. There are still incentives in Quebec and British Columbia, which offer rebates to EV buyers of up to $8,000 and $5,000, respectively, but they’re now alone in Canada in doing so. No other provinces or territories have ever offered incentives, and mainstream car makers have been lucky to sell a handful of EVs in the rest of the country. It’s one thing for drivers to want to save the planet, but quite another to expect them to pay for it. Yet the infrastructure for EV public charging points continues to grow, even in those rebate-absent provinces. There are roughly 7,700 public charging stations in Canada, of which about 500 are “Level 3,” which allow a full charge in around 20 minutes. Level 3 charging stations are very expensive and can cost more than $100,000 to build and install, while a Level 2 charging station costs around $1,000, but takes several hours to fully charge an EV. It is most common for a “top-up” or overnight charge, making it the standard for a home or workplace charger, installed in an owner’s garage or commercial parking space. As more EV drivers install their own charging points at home, the need for a widespread infrastructure may become less important, says Hoss Hassani, managing director at Cadillac Canada. “Once you get to the point where the range of a battery-electric vehicle meets or even exceeds an IC (internal-combustion) engine, then the notion of having charging stations on every corner, or turning gas stations into charging stations, becomes less urgent as it relates to being an impediment to the adoption of the technology,” Hassani says. There are roughly 7,700 public charging stations in Canada, of which about 500 allow a full charge in around 20 minutes. So who pays for this infrastructure of charging stations? The federal government is investing $182.5-million in an initiative that includes a coast-to-coast network of chargers: Natural Resources Canada contributes up to $50,000 toward the cost of every public fast charger. In December, the 100th federally funded fast charger was installed at Toronto’s Eaton Centre. Last month, Ottawa announced a partnership with Hydro Quebec for 100 fast chargers to be installed on major highways across that province. Those fast chargers will work for all electric vehicles, but Tesla operates its own proprietary network that it pays for itself with no government or ratepayer subsidies. The catch is that the plugs will only fit Tesla vehicles – other makers’ EVs cannot use them. Tesla plans to have at least 120 superchargers operating in Canada, but the announced network is not ready yet. There are well-served corridors in Ontario, Quebec and B.C., but still no Canadian superchargers between Sudbury and Calgary. Only one supercharger is planned for Nova Scotia, and nothing for Newfoundland or PEI. Provincial governments have offered funding for charging stations, although on a much smaller scale. Without increasing the convenience of charging at this still-early stage of adoption, car makers will be hard-pressed to sell their EVs. Beatty believes the government’s true role is to be a regulator: to facilitate the zoning of charging centres, and to ensure utility companies are capable of meeting the demand. This is easier said than done. Quebec and British Columbia each have a single provincial utility company to work with, but Ontario has more than 60. All of these utility companies now work with private charger-supply companies such as Flo or Sun Country to co-ordinate the supply of hydro with the delivery of power to electric vehicles, and there’s a strong commercial case to be made for the convenience of public charge points. If restaurants and stores offer a place to recharge EVs, their drivers will perhaps buy something while they wait. 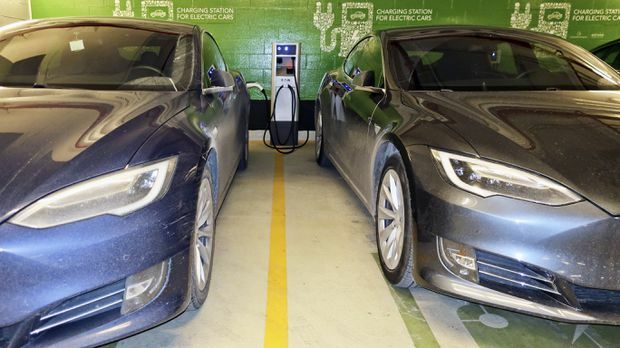 In Ontario, workplaces were encouraged to install EV charging points by the provincial government, which refunded up to 80 per cent of the cost, to a maximum of $7,500. However, that program ended last summer, along with the rebate for the vehicles. Flo provides and maintains about 10,000 charging stations across Canada, of which about 7,000 are considered residential. Shean says the other 3,000 are not only a convenience, but potential money-makers. New offerings and improved range supercharged EV sales last year despite lost incentive in Ontario.